Edinburgh is a place that most visitors find hard not to fall in love with. Visually, it is one of Europe’s most beautiful cities and it’s up there as one of the most beautiful in the world. Set across a series of rocky hills overlooking the sea, the city is steeped in history with the Old and New Towns being home to nearly 5,000 historic buildings, monuments and sites. Some are entwined with its landscape while others are perched atop crags and overshadowed by cliffs. If incredible history and beauty isn’t enough for you, then Edinburgh also offers up some world-class events throughout the year including the Royal Edinburgh Military Tattoo, the Fringe Festival and celebrate the New Year with Hogmanay. 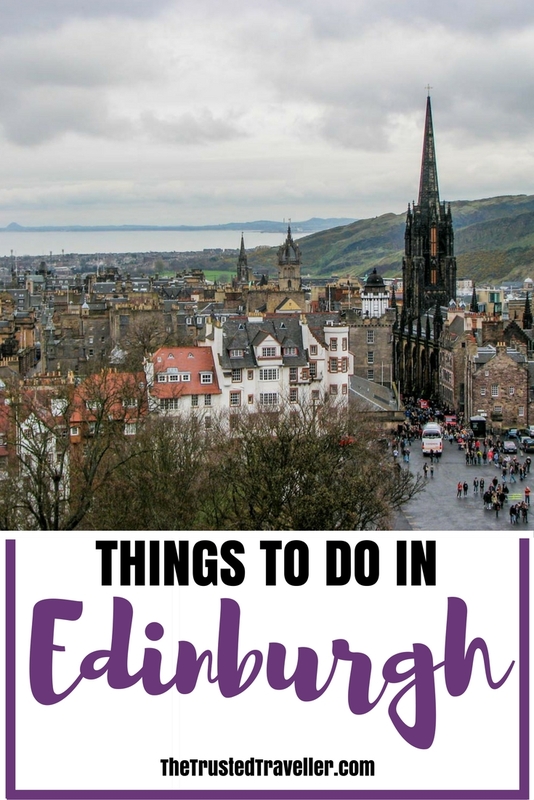 Whether you want to discover its history, beauty or events, you’ll be sure to find plenty of things to do in Edinburgh that will leave you wanting to come back for more. Archaeologists have established human occupation of the land that the castle sits on since as early as the 2nd century AD. 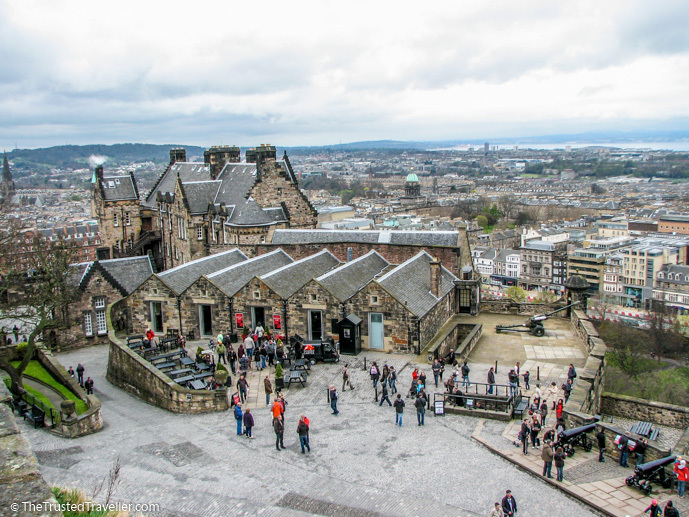 Sitting on top of a volcanic rock formation above the city skyline, the castle offers incredible panoramic views of Edinburgh, the Firth of Forth and Fife. Looking out over this breathtakingly beautiful city is reason enough to visit the castle. But inside the castle walls you will find a plethora of attractions to explore and an abundance of history to keep you occupied for hours. 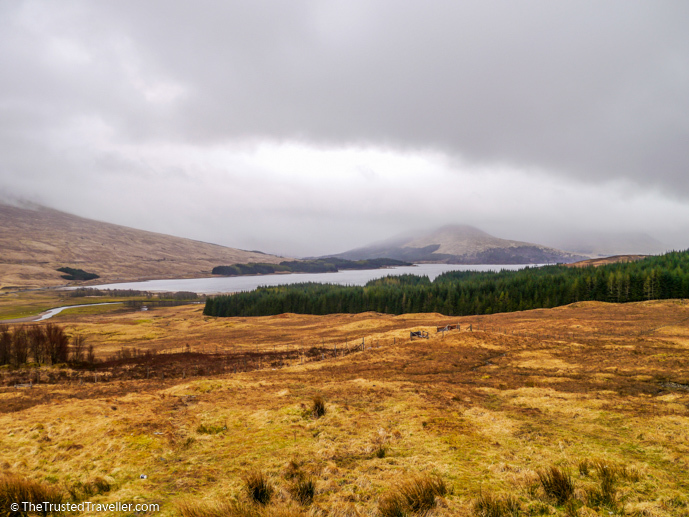 I know this technically isn’t something to see or do in Edinburgh but, if you have limited time and can’t fit in the whole of Scotland then the next best thing is to take a day trip to the highlands. There are a bunch of different tours on offer that include a full day exploring the Highlands taking in the Loch’s and Glens, including Loch Ness and Glencoe, out of this world landscapes with towering mountains like Ben Nevis and lots of photo stops along the way. 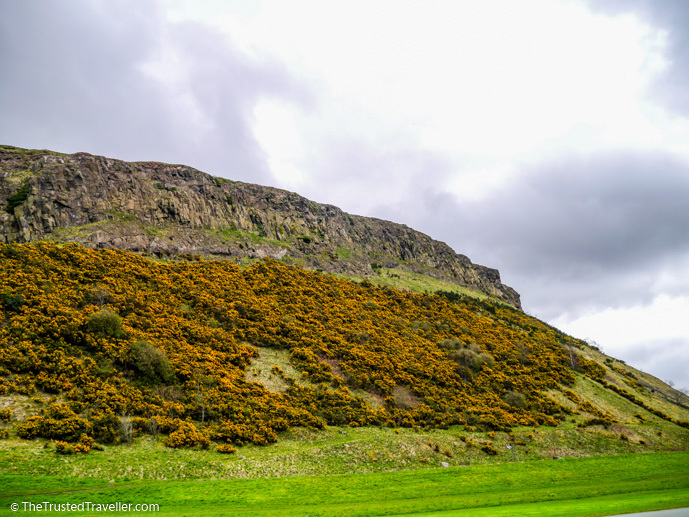 When you get to the bottom of the Royal Mile and look right, you will see Arthur’s Seat, the main peak of the group of hills which form most of Holyrood Park. This group of hills were formed by an extinct volcano about 350 million years ago. Then about two million years ago a glacier, moving from west to east, eroded the hills exposing the rocky crags you see today. 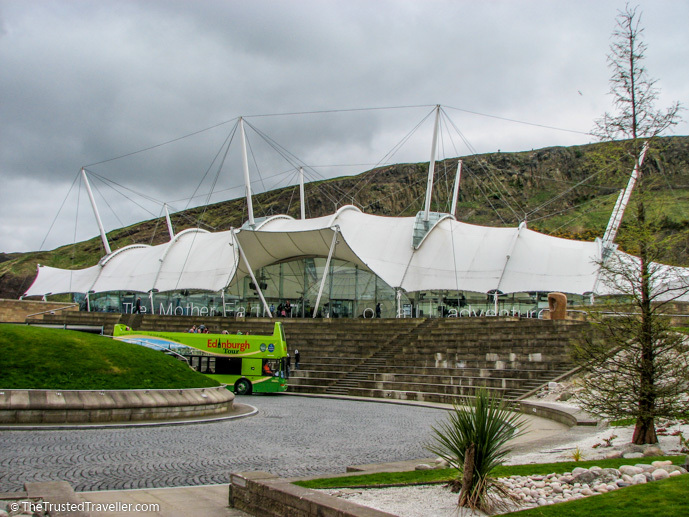 Arthur’s Seat rises about 250 m above the city and provides excellent panoramic views of the city from the top. It is relatively easy to climb taking up to 30 minutes depending on your level of fitness. More Information: http://www.geowalks.co.uk/iarthurwalks.html provides detail on the walking routes to the summit. 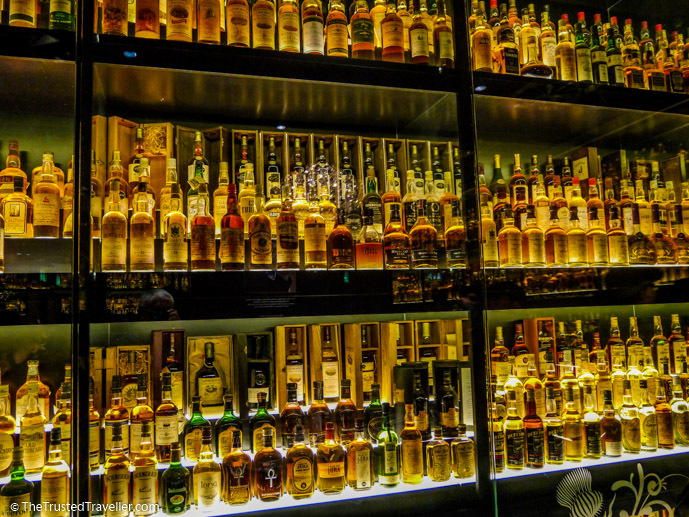 If you love whisky then you’ll love this place! And if you don’t, you may still enjoy learning about its history and how its made. Your journey through the Scotch Whisky Experience takes you on a barrel ride through the whisky making process, joining an expert whisky guide for a talk to learn all about the different types of whisky, choosing your perfect whisky with sniff cards, an all-important tasting and finally finishing up in the room that houses the world’s largest collection of whisky in all shapes, sizes, tastes and flavours. 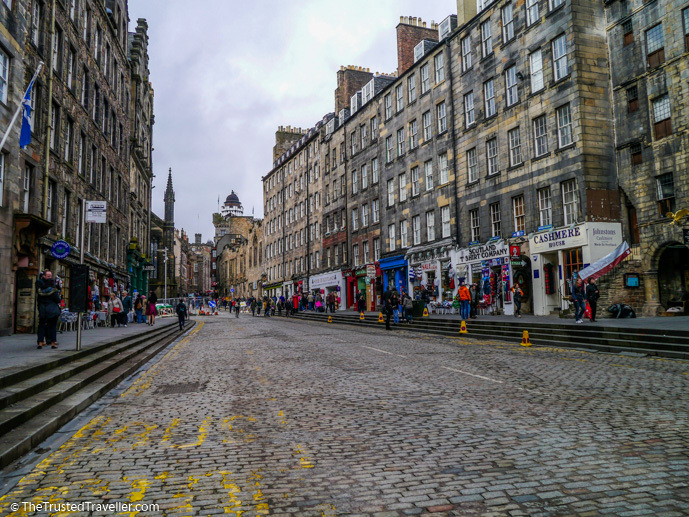 The Royal Mile is basically the main thoroughfare in Edinburgh, running nearly one mile long, connecting the two royal residences of Edinburgh Castle with the Holyrood House Palace. The Mile is actually made up of five streets, Castlehill, the Lawnmarket, the High Street, the Canongate and Abbey Strand, all joining to form this historic stretch of road. Along the Royal Mile are many of the city’s most notable attractions and best examples of its famous Gothic architecture. You can’t visit Edinburgh without walking the mile. Hours: Try walking the Royal Mile during the day and again at night. 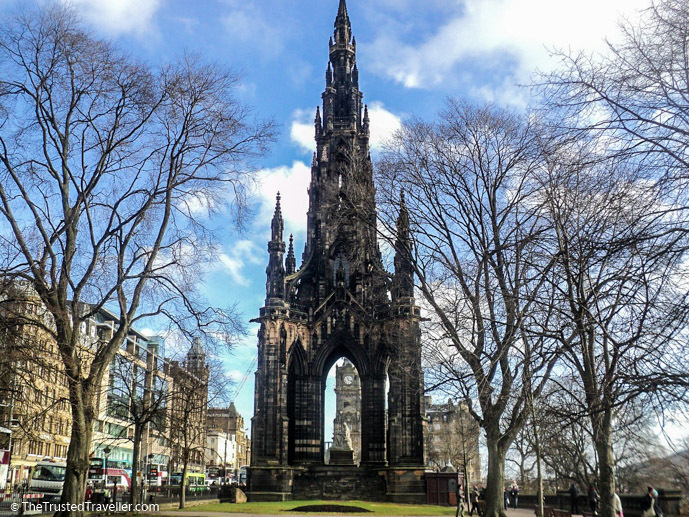 The Scott Monument is a 61 m high Gothic monument to famous writer Sir Walter Scott located in the Princes Street Gardens. You can climb the 287 winding steps to the top for views across Edinburgh or just admire it from below while enjoying the gardens. Official residence of the monarch when in Scotland, Holyrood Palace has served as the principal residence for Kings and Queens since the 16th century. The Queen spends just one week at the beginning of summer each year in the Palace where she holds official engagements and ceremonies. 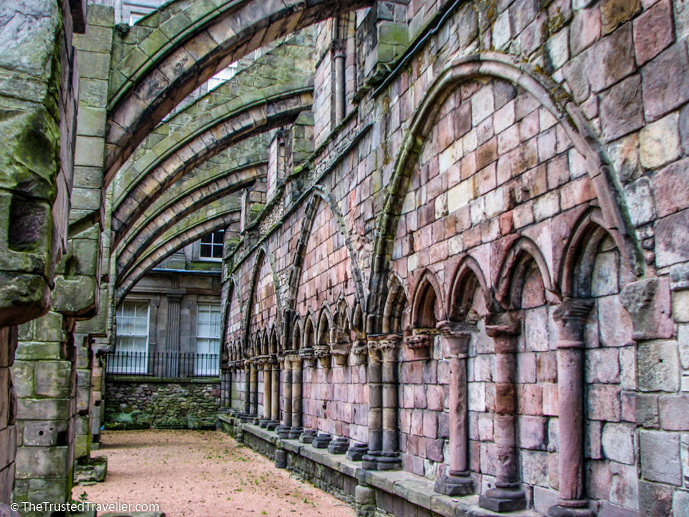 When The Queen is not in residence, visitors can explore 14 historic and state apartments beautifully furnished and decorated, browse the priceless works of art in the Queens Gallery and wander through the gardens and ruins of the Holyrood Abbey. This state of the art science centre aims at giving the public a better understanding of the processes that have shaped the Earth. Exhibits include an in-depth history of the Earth including the Big Bang, an earthquake simulator, meteor showers, tropical rain storms and much more. It’s very hands on, informative and lots of fun for people of all ages. Cost: Adult £15.50, Concession £13.50, Child £9.75 – Tickets are slightly cheaper when purchased online. 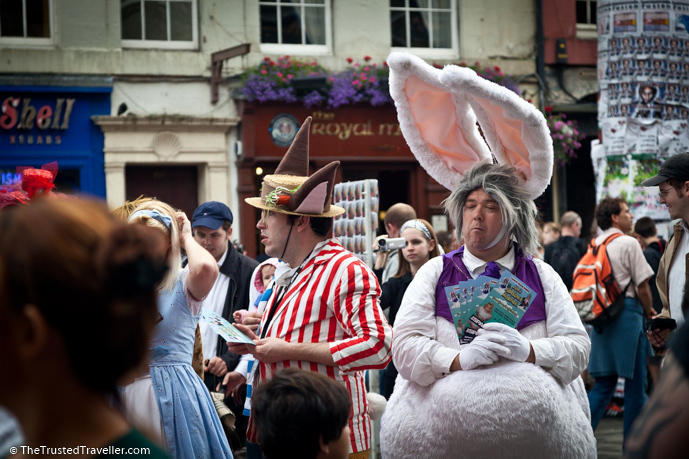 Edinburgh is home so some of the world’s best festivals. August is peak time with two of the best taking place. First is the Royal Edinburgh Military Tattoo, an incredible spectacle of armed forces from Britain and around the world parading in the forecourt of the Castle. Next is the world’s biggest arts festival, Edinburgh Fringe Festival which has expanded over the years to include everything from street performers, art shows, comedy shows, basically anything that can be performed or displayed. Finally if you’re in town for New Year celebrations you can join the festivities of Hogmanay. The city comes alive with a few days of celebrations and cultural events finishing up with a massive party and fireworks on New Year’s Eve. 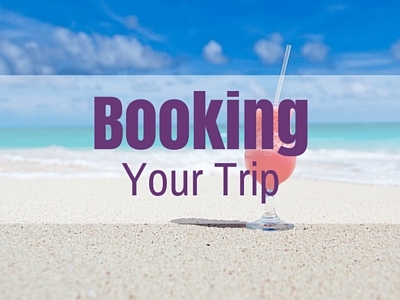 Cost: Ticket prices vary depending on which festival you attend. Check the websites below for more details. Hours: Royal Edinburgh Military Tattoo and the Edinburgh Fringe Festival are both on during the month of August each year. Hogmanay is celebrated over the New Year period. Hop-on Hop-off Tour see it all on this open top bus tour. Ghostly Underground Vaults Daytime Tour discover the creepy underground past of Edinburgh. Old Town Brewing Heritage Walking Tour with Beer Tastings taste more than Whisky with this fun beer tour. 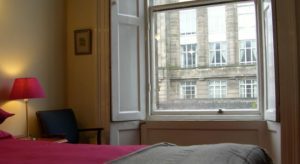 Close to Edinburgh Castle, these Apartments offer modern accommodation with free Wi-Fi, open-plan kitchen with a dining area, full cooking facilities and washing machine. These stylish apartments are close to the train station and city centre. Each apartment is modern and includes cable TV, a DVD player, a washing machine, separate living/seating areas and kitchen. 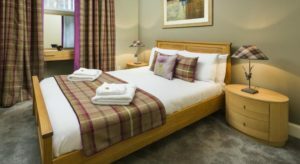 Overlooking Edinburgh Castle, this hotel boasts luxurious rooms, spa, modern gym, free WiFi and swimming pool. 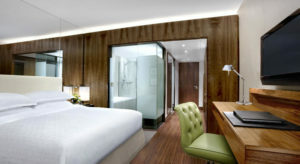 The large air-conditioned rooms have beautiful furnishings and glass-walled bathrooms. 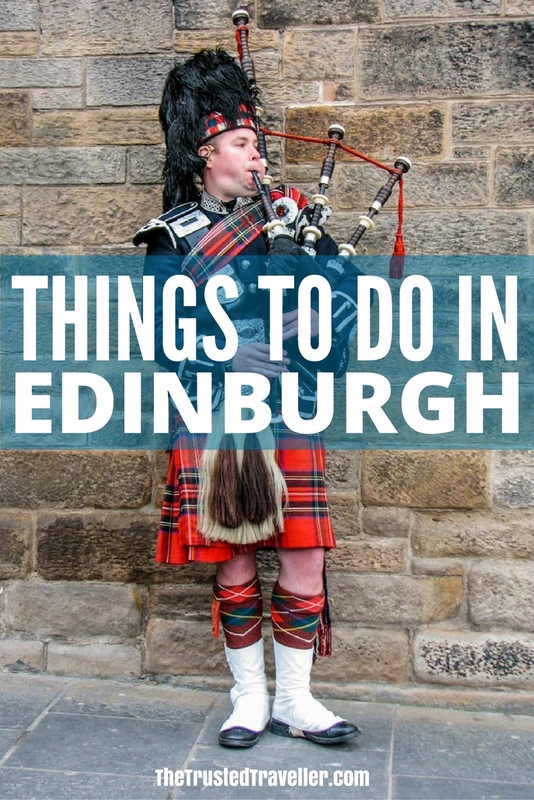 What’s top of your list of things to do in Edinburgh? Or have you been already, what did you love about it? 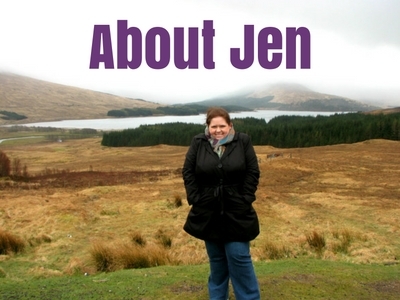 I’ve been itching to visit Edinburgh for years and this just makes me want to go even more! That view from the castle is gorgeous! It’s a 360 degree view too Amy. Edinburgh is truly beautiful. Hope you get there soon. Do you think they’ll separate? I have no idea but we will find very soon! Thanks Margaret. I’ll be sure to check your blog out too. That is so nice that you got to go there. The weather in November would be much colder than September and there is the chance of snow at that time of year too! Next week we will be visiting Edinburgh and I just can’t wait! Thank you for your inspiration! Thanks Simone! Hope you have a great time and enjoy it as much as we did. I highly recommend touring Mary King’s Close. Was a highlight of the trip. Also as a day trip Stirling Castle (do a whole day here! Or also take in the Wallace monument in Stirling while there) was even better than Edi Castle. Cool, thanks for the tips Meghan. We will definitely check these out next time we go to Edinburgh. My dream is coming true and we plan to visit Edinburgh in June of 2017. Not sure what to pack. Does it get warm, or will it be cool? Will I stand out wearing jeans, and a sweater, or is that not appropriate attire?……Will We need to pack light winter jackets?…. I am so happy to hear that Dian! The weather will be warming up but depending on where you are from will depend on how warm you are use to. For that time of year I would pack a selection of warm and cool clothes so you can layer up in the evening and on cooler days. Jeans and a jumper will be fine. Big warm winter jackets won’t be necessary. Hope it is everything you dreamed it to be! I’m wondering about parking. My husband and I are planning a trip and spending like 3 nights there and curious on parking if we get a room on the outskirts. 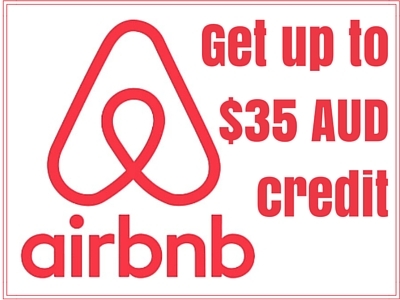 You best bet here would be to check with the hotel or accommodation. They will know that particular part of the city better than anyone else and can advise you.